Cathedral windows has been a favorite pattern of mine since I first saw this traditional quilt style many years ago, but I’ve never made more than a few blocks at a time because the handwork proved too frustrating for me to manage wth my peripheral neuropathy. 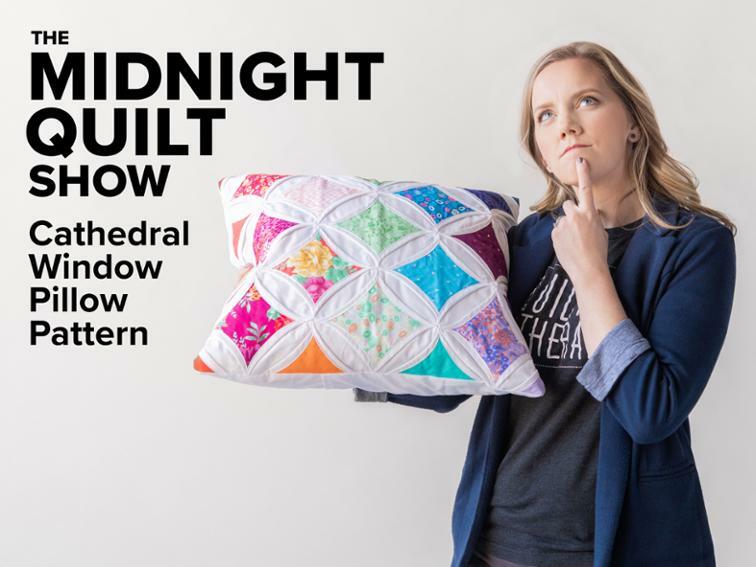 So I was immediately intrigued when I heard about the Cathedral Window Pillow episode from Angela Walters on her Midnight Quilt Show. I checked out Angela’s demonstration on YouTube and was excited to see how the process had been reimagined and reengineered to make it relatively quick and easy to create by machine. 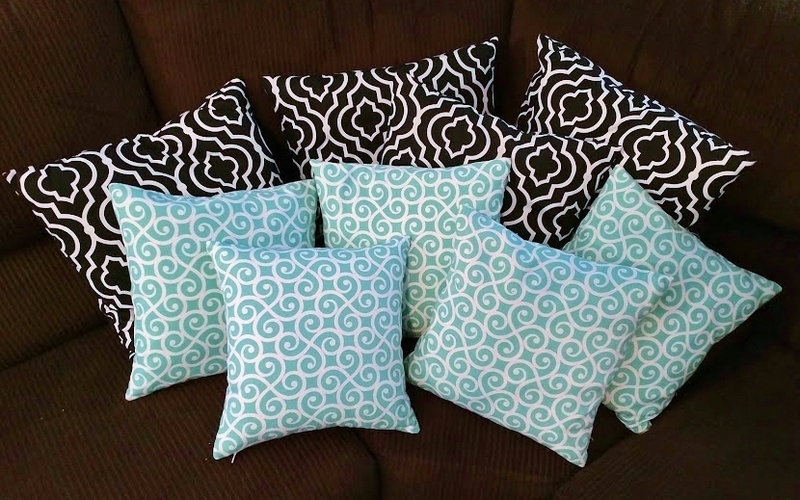 The cutting instructions are for two 20″ pillows, but I opted to make just one this time. 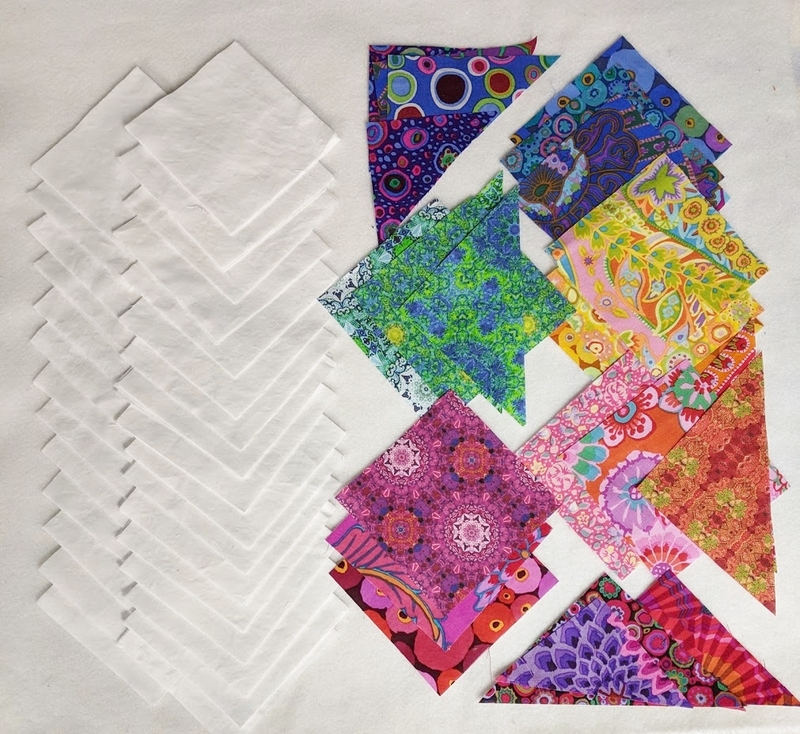 Angela was using a charm pack (precut 5″ squares), but I raided my scrap bin and leftover bits and pieces from other projects and cut my own squares and triangles. I decided to make my pillow with a mix of scraps of my custom fabrics from Spoonflower and of my carefully hoarded Kaffe Fassett fabric. The white fabric I’m using is Lily & Loom Brilliant White from Bluprint (formerly Craftsy). 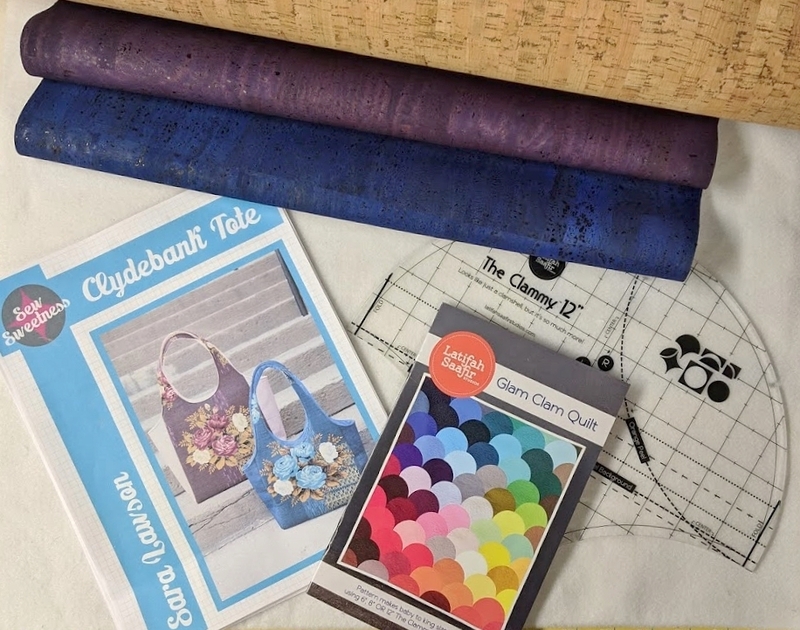 One of the really great things about sewing is that you aren’t dependent on what you can find (or afford) in the store – you can create or customize all kinds of things to your specific tastes and needs. Lately, I’ve been on a streak of making totes, bags and purses. Since my work (both as Creative Director for Lakeshore Sewing and as a quilt/textile artist and designer for my own business) requires a lot of intense focus and creativity, I find it relaxing to take a bit of a break and let someone else do the basic designing and let me have the fun of customizing to my heart’s content. I really enjoy it when I get a chance to make something quick and (relatively) easy. And bonus points if it is functional, too! 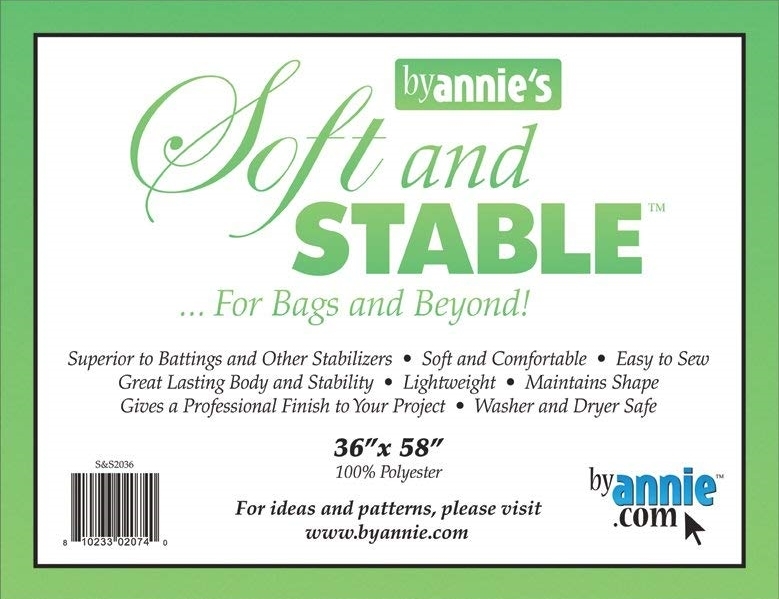 One of the products I’ve been playing with lately is Soft and Stable from ByAnnie. ByAnnie’s Soft and Stable® is a new product which I developed to use in place of batting or other stabilizers in purses, bags, totes, home dec items, and more. Why use ByAnnie’s Soft and Stable®? 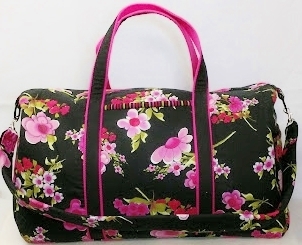 One of my favorite travel bags is this duffle, designed and made by my friend and colleague, Laura Witt. 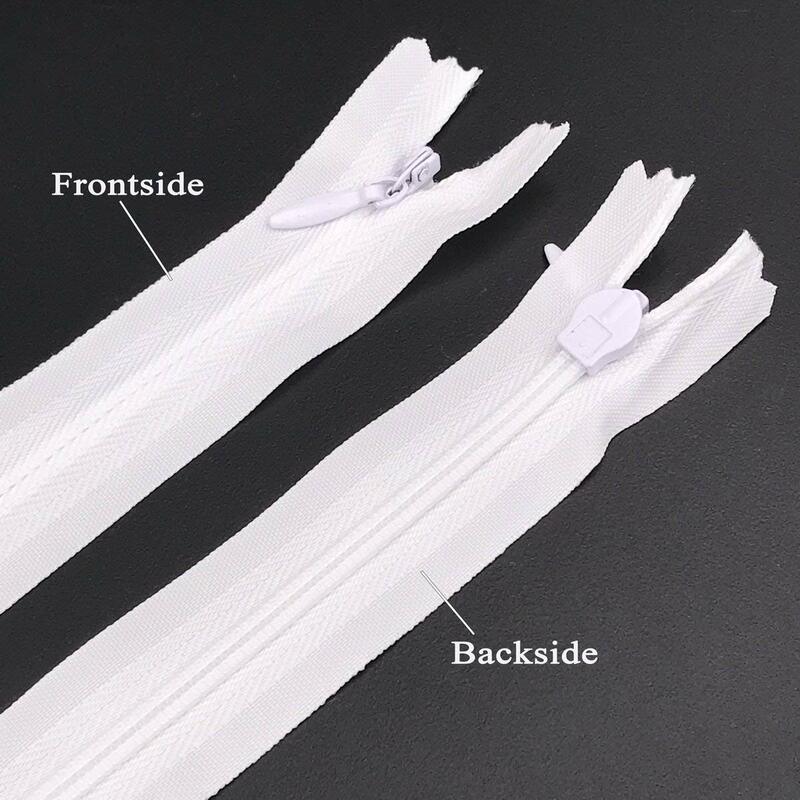 Not only did Laura use Soft and Stable to support the bag, she also inserted a strip into the shoulder strap to make the bag more comfortable to carry. What a month! Not only is late November through December extra-busy with the holidays AND one of the most demanding times of the year for my day job as Creative Director for Lakeshore Sewing, but our plumbing saga continued with more water in the basement, where my studio is located. Needless to say, my creative plans for the month had to be adjusted. But I’m happy to say that I did manage to squeeze in at least a little sewing fun. 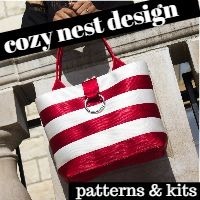 Below are 3 of my December projects, plus links to the free patterns I used. All 3 patterns are keepers for me – ones I’m sure I’ll use again. I was first introduced to these folded & woven fabric ornaments through a delightful instragram post by misterdomestic linking to this tutorial on his YouTube channel. I also found a handy photo tutorial by Anna Curtiss. 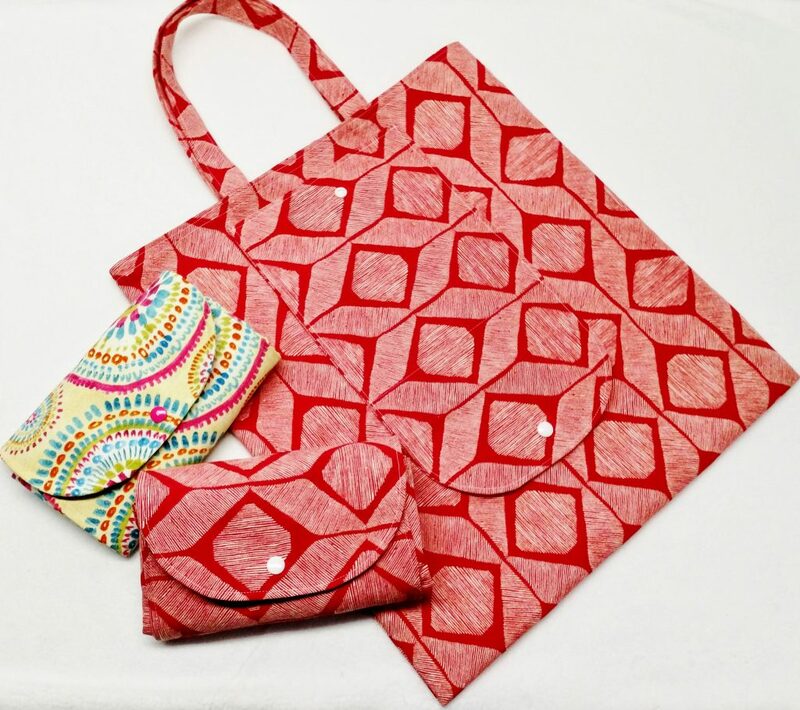 I resized the free pattern from Moments Designs (pattern download offered through Craftsy) to make giftable shopping totes that fold into their own snap pouches for storage. I enlarged the pouch slightly because I used heavier fabric than was used in the original pattern. The instructions are terrific, with step-by-step photos for every step. My pillow lounger – ready to use! Next time I might buy enough fabric to match up the print properly; but I don’t think the kiddos will mind this time. I’m planning to put my new Baby Lock Jazz through its paces by testing how it performs while making a series of different projects. I’m starting with decorative pillow covers with invisible zippers. 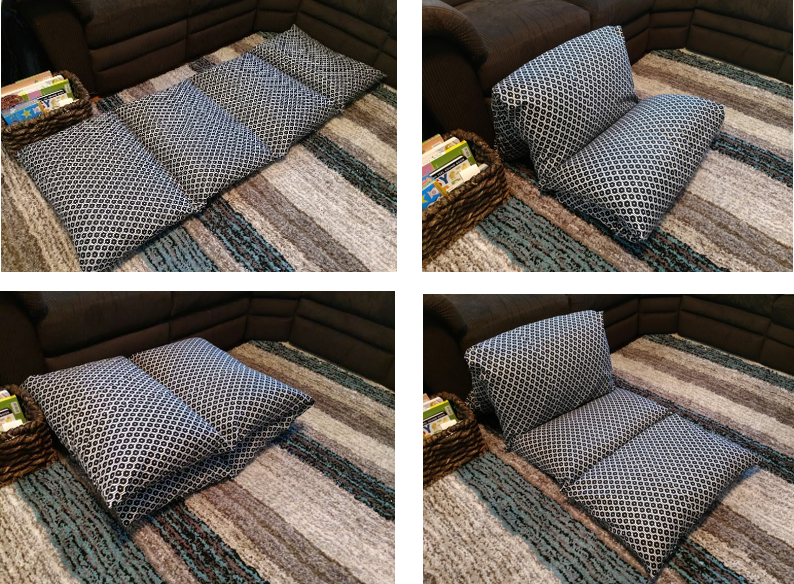 Since I had 10 pillows to make new covers for, I purchased my invisible zippers in bulk – saving quite a bit of money in the process. 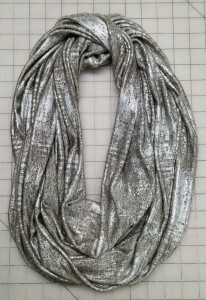 Infinity scarves are one of my favorite sewn gifts to give or to receive – easy to make and easy to wear! The continuous loop means no worrying about the scarf sliding out of position or the scarf ends being blown right off your body in a passing breeze. There are many Infinity Scarf tutorials online and the majority get the job done just fine, but most of them end with a very wide opening that straddles the intersection where the ends of the scarf are joined. This can be a bit of a pain to hand stitch. I think this method, which I learned from Nancy Zieman, is a little easier and leaves a smaller, easier-to-sew invisibly, opening. More Christmas in July! 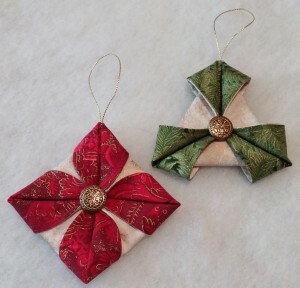 In my last post, I gave a step-by-step overview of the process of making the triangular ornament shown in the photo. I first stumbled across these lovely and unusual fabric ornaments on a post by Katrina, a sewist in New Zealand, at katrinastutorials.blogspot.com. The links below will take you to my saved pins on pinterest – you can click through to get to the original posts. After a google search, I also found this youtube video by Crouton Crackerjacks. I’ve since found these oraments in a few other places, but I think the links above are the best. 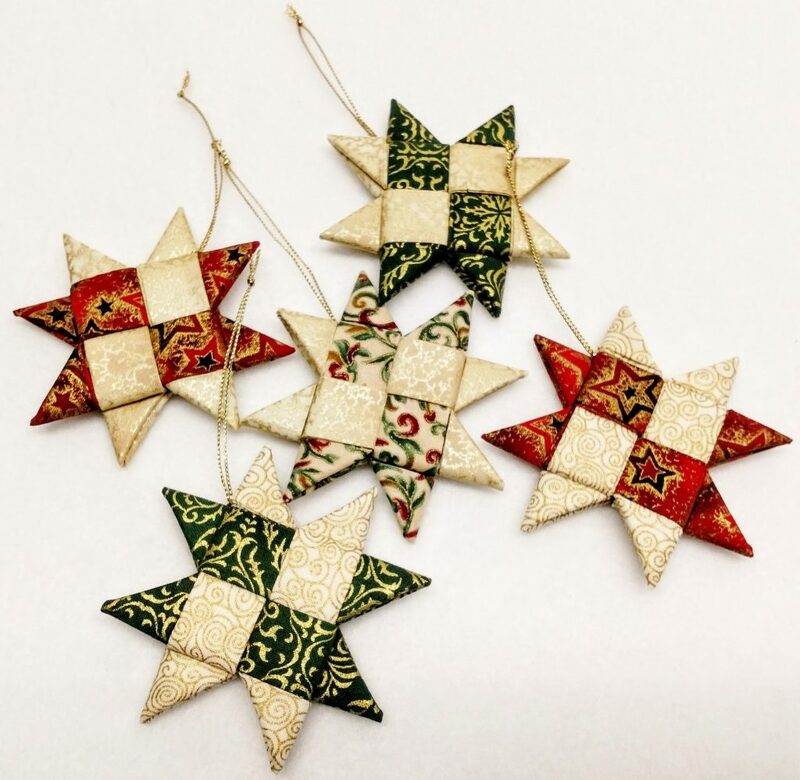 You can see my step-by-step photos of the process of making the triangular ornament here. Christmas in July! It’s not just an excuse for a sale – it’s when many of us start (if we haven’t already) sewing holiday gifts for our friends and family members.